30-Apr-2018 02:02:26.877 警告 [main] org.apache.catalina.loader.WebappClassLoaderBase.clearReferencesJdbc The web application [gitbucket] registered the JDBC driver [org.h2.Driver] but failed to unregister it when the web application was stopped. 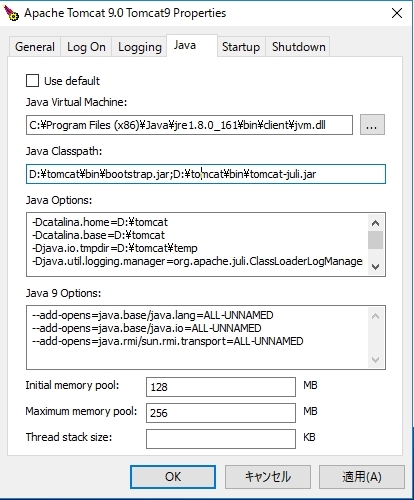 To prevent a memory leak, the JDBC Driver has been forcibly unregistered. [2018-04-30 10:39:57] [info]  [ 5788] Service started in 1265 ms.
10:40:46.204 [main] INFO  com.zaxxer.hikari.HikariDataSource - HikariPool-1 - Start completed. 10:40:49.173 [main] WARN  gitbucket.core.plugin.PluginRegistry - Plugin notifications is duplicated. gitbucket-notifications-plugin_2.12-1.4.0.jar is available. 10:40:49.251 [main] WARN  gitbucket.core.plugin.PluginRegistry - Plugin notifications is duplicated. gitbucket-notifications-plugin_2.12-1.4.0.jar is available. 10:40:49.314 [main] WARN  gitbucket.core.plugin.PluginRegistry - Plugin notifications is duplicated. gitbucket-notifications-plugin_2.12-1.4.0.jar is available. 10:40:49.407 [main] WARN  gitbucket.core.plugin.PluginRegistry - Plugin notifications is duplicated. gitbucket-notifications-plugin_2.12-1.4.0.jar is available. 10:40:49.532 [main] INFO  org.quartz.core.QuartzScheduler - Quartz Scheduler v.2.2.3 created. 10:40:49.532 [main] INFO  org.quartz.simpl.RAMJobStore - RAMJobStore initialized. Using thread pool 'org.quartz.simpl.SimpleThreadPool' - with 1 threads. 10:40:49.548 [main] INFO  org.quartz.core.QuartzScheduler - Scheduler QuartzScheduler~job_$_job started.